The Dog Control Officers deal with complaints about dogs or lost dogs. All dogs or wolf-hybrids six months of age and older must be licensed annually on or before April 1. Before obtaining a dog license, a copy of a current rabies vaccination certificate must be presented to the Town. Licenses are available annually starting on the first business day of January and will be assesses a late fee if not paid on or by April 1st annually. 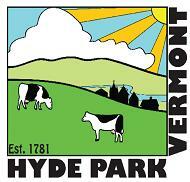 This is the official Town and Village of Hyde Park, Vermont municipal government web site.